How awesome would it be if you could see from which marketing mediums your customers are calling your business? Fuzion Digital makes it all possible! Call tracking can be used as a method to track the performance of your marketing efforts as well as to review your staff. With call tracking, you will be able to establish which marketing campaigns, website pages, online channels and printed media are driving phone calls and creating conversations. 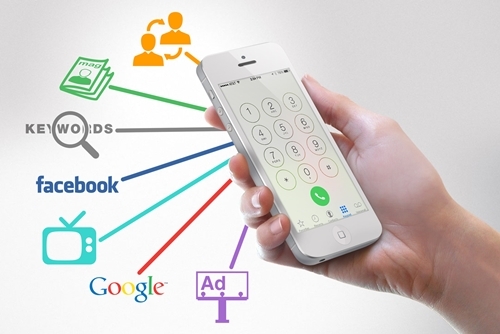 Call tracking can be linked to performance-based advertising such as Google AdWords, SEO services, Display and Electronic Marketing and analytical information can be drawn from the calls. Fuzion Digital allocates a unique call tracking number to each marketing method. When receiving a call, the unique call tracking number redirects to your chosen device via call forwarding technology, then our reporting system logs the call whether it was answered, unanswered or if the line was busy. When a call is not answered the data will be available for you to phone the potential lead back. You can tie where the call is coming from to the marketing method used. We can track whether the call came from your website, Google AdWords, website banner advertisements, social media channels, email campaigns and any printed media. We are so advanced that we can even tell you which of your Google AdWords keywords generate the most phone calls! Now that’s cool! If somebody arrives at your website from any of your online advertising and calls you, your report will show it. For example, if somebody clicks through to your site from your Facebook page and phones, you’ll know that the call was prompted by Facebook. Real-time reporting provides total visibility into performance. Sounds good, right? Get Fuzion Digital to set up your call tracking now!